Amy Harrington, an attorney, needs help in a case. She hires former FBI agent, Max Austin to help her investigate a murder. Max is now working as a private investigator. Amy's client, Vickie Jacobsen, is accused of killing her rich husband, Morrie, at their mansion. Vickie insists she is innocent and that a prowler killed her husband with Morrie's own gun. Vickie certainly looks guilty because she tested positive for firing a weapon, had blood on her blouse and took out a 2 million dollar insurance policy on her husband. Max begins by checking Morrie's business records, associates, and the autopsy report. As Max starts to investigate, more people start to die. In time, Max soon finds his own life in danger. Does Max find out who killed Morrie? 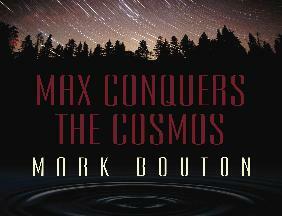 Mark Bouton, a former FBI agent, has written an excellent debut mystery. This is a book that is one of those page-turners that keep you going to try and find out what happens next. Mark Bouton has done a terrific job of building the character, Max, and we can only hope that there will be future books where Max will be called in to investigate. If you want to read a book that will keep you glued to the pages, this is the one!